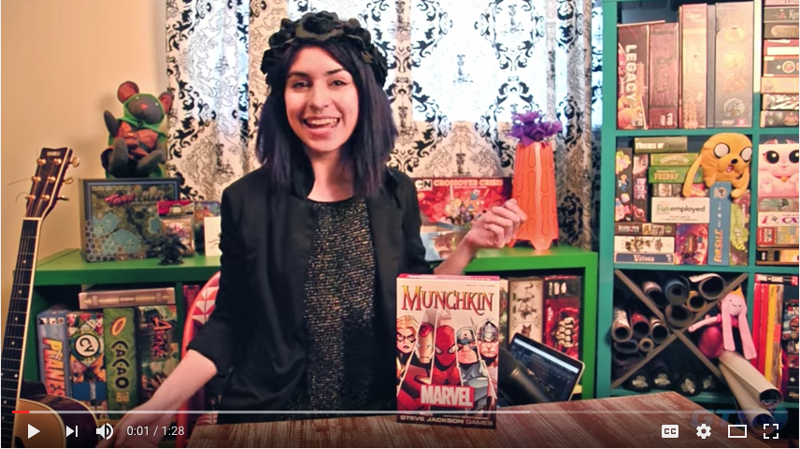 By which we mean, here's an assemblage of reviews and unboxings for Munchkin: Marvel Edition, which has been out for a few months now! That's also probably the last time we make an "Avengers, assemble!" joke on this blog. About this product. Today. Bell of Lost Souls did a Tabletop Spotlight on the game, and says Munchkin and Marvel "go together like peanut butter and chocolate," and that, "since there's Munchkin everything and there's Marvel everything, it was only a matter of time." There's an unboxing from GameWire, another from Bus Load of Penguin, and reviews from Erik Smith and Bower's Game Corner. 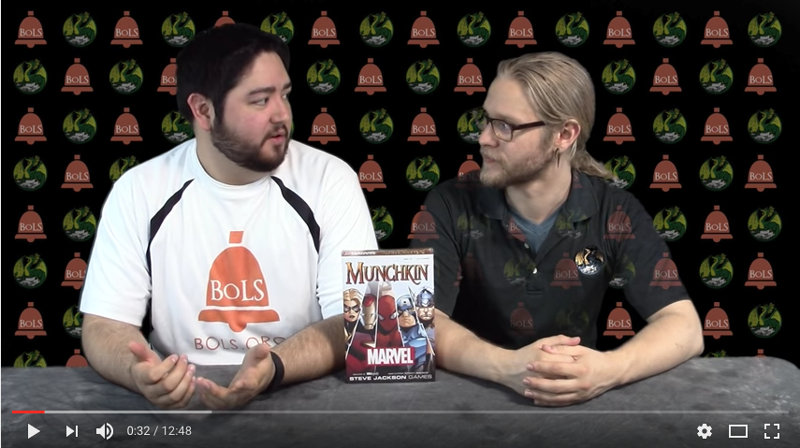 They all like a lot of things about the game, and reviewers point out that it makes a good introduction to Munchkin gameplay for the uninitiated, since everyone loves Marvel. The heroes at USAopoly have created a truly mighty game. None of them mention how glad they are that Captain America in this game doesn't believe he's Hydra, but they may be thinking it.